Wow, now this is the sort of book that we like - one that you can take your time over, and really find something new every time you delve in. Happy Halloween! Ten spooky sizzlers designed to make your little ones squeal with delight! We love Halloween and though we're not much on Trick or Treating, we do love to nestle down in All Hallows Eve with a good spooky book or ten. So here are ten favourites that err on the dark side of the street. 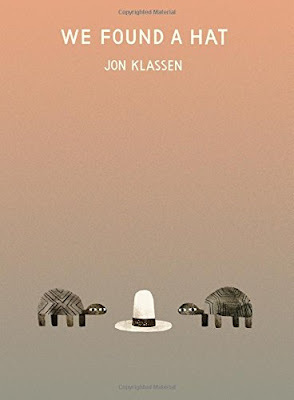 Teaming up for a breathtakingly original book, Lemony Snicket and Jon Klassen's sublime "The Dark" is the story of Laszlo, a little boy who lives in a big draughty house. When Laszlo's night light breaks one evening, The Dark seizes the opportunity to steal into Laszlo's room. But Laszlo isn't scared - he knows where the dark comes from, and knows just how to make the darkness go away. 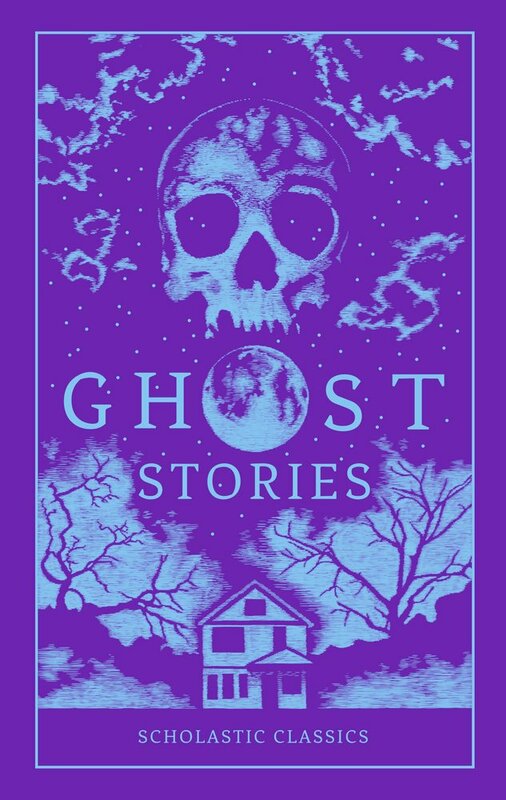 It's inventive stuff, a well deserved Book of the Week when it first appeared on the blog and a book that we always read and re-read around Halloween - breaking out the croakiest whispering voice for The Dark itself. 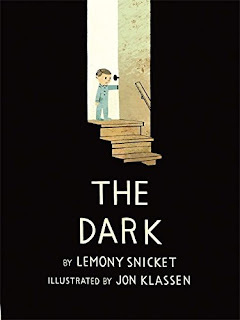 "The Dark" by Lemony Snicket and Jon Klassen is published by Orchard Books. 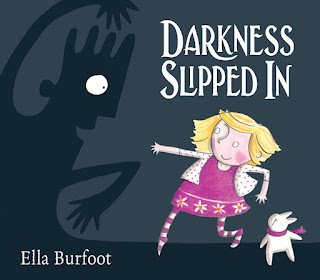 Ella Burfoot's "Darkness Slipped In" features a much more mischievous dark who visits a young girl's room one evening. This particular darkness might look scary and spooky but young Daisy isn't the least bit scared. She invites him in for tea and cakes, and for a spooky halloween dance! We weren't sure whether this one was a mite too disturbing and nightmarish when we first reviewed it, but it's gone on to become a real fave now Charlotte is a lot older. "Darkness Slipped In" by Ella Burfoot is published by Macmillan Children's Books. Edgar Allan Poe's classic poem "The Raven" is brought to stunning life in this new adaptation, with David Pelham and Christopher Wormell literally making a book that leaps out at you from the shelf. It's a 3D papercraft tour de force in a pop-up version of the poem full of chilling rhymes and of course equally chilling spring-out-and-nip-your-nose bits that are so deliciously crafted, that you can't help wondering if that tapping at the window pane is just a branch, or the dark cawing bird itself! Utterly divine book engineering coupled with Poe's verse really should see this become an instant halloween classic for wee ones who love a chilling tale. 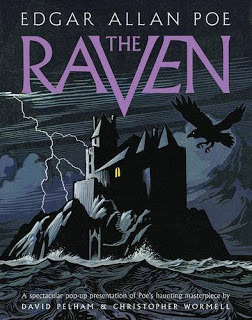 "The Raven" by Edgar Allan Poe, David Pelham and Christopher Wormell is out now, published by Abrams Books. 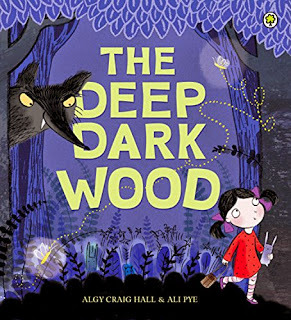 "The Deep Dark Wood" by Algy Craig Hall and Ali Pye is a neatly spooky twist on a well-loved favourite. Down in the wood, little red riding hood innocently trips along the dark paths, off to granny's house for a visit. Naturally the dark creatures of the wood are keeping a close eye on her - including a big nasty wolf. But who is actually the REAL menace in the woods? 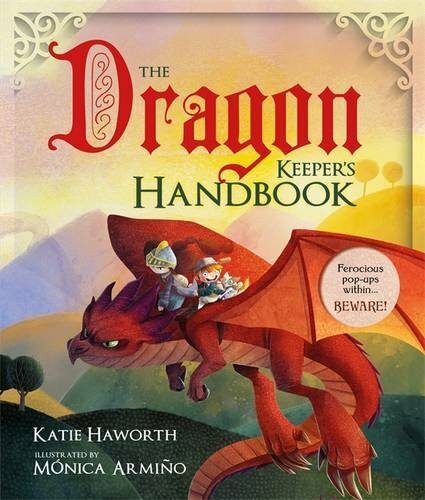 This book keeps the twist right until the end but it's so beautifully delivered that we couldn't help but laugh out loud! "The Deep Dark Wood" by Algy Craid Hall and Ali Pye is published by Orchard Books. Book Number 5? Are you still alive? Keep reading as there's more brilliance to come! Talented actress Evangeline Lilly teams up with a creative genius from the award-winning WETA Workshop team for a twisted tale with a difference. In "The Squickerwonkers" a rather spoilt little girl meets her comeuppance in a rather horrible way, but does she deserve her dark fate? As she watches a stage show by a group of puppets, the rhymes hide their true intention - to show the girl a lesson she'll never forget - for she will join their terrifying troupe! 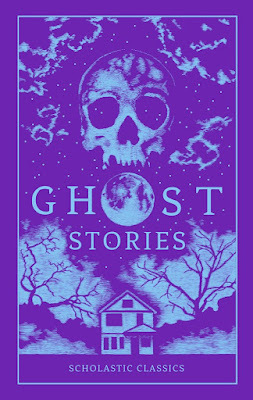 We loved this when we reviewed it, surprised to find that a celebrity-penned book could be so brilliantly original and spooky. Quirky illustrations also lend the whole thing a Gaiman-esque air of menace so it's a perfect little chiller of a book to share this evening! 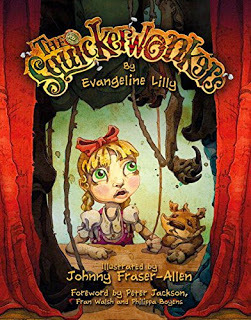 "The Squickerwonkers" by Evangeline Lilly and Johnny Fraser-Allen is published by Titan Books. We're over the halfway mark, so what's at number six in our halloween list-me-do? A glorious modern telling of classic Hans Christian Andersen tales comes from the hugely talented duo known as Metaphrog. "The Red Shoes and Other Tales" starts off with the titular tale, presented here in its original form - a darkly delicious moral tale of a young girl whose avaricious love of a pair of amazing new shoes leads to her ultimate undoing. There's only one way to stop those shoes from dancing away with you! EEEEK! Presented here with several other dark tales from Andersen's stories, Metaphrog's brilliant graphic novel treatment of the stories are absolutely perfect to share out loud as this evening's torchlit spooky storytimes begin. 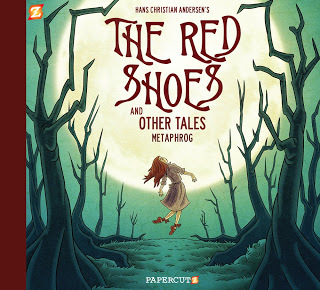 "The Red Shoes and Other Tales" by Metaphrog is published by Papercutz. 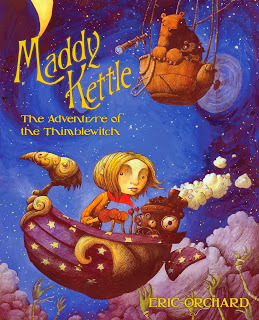 "Maddy Kettle - The Adventure of the Thimblewitch" by Eric Orchard is a fantastic action-packed adventure full of originality and invention. Maddy's parents are always telling her to be careful, but one day when dad brings home an amazing floating singing toad, Maddy's life takes a dark turn for the worse. Goblins invade and her mum and dad end up being turned into mice by a nefarious dark entity known as The Thimblewitch. Maddy has no choice but to track down the witch to her lair, to demand that the spell is lifted! Whimsical and brilliant, this is the sort of comic adventure that we love recommending to folk who think comics are daft. 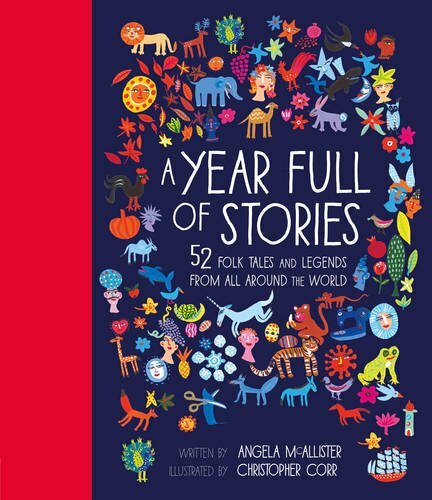 "Maddy Kettle - The Adventure of the Thimblewitch" is published by Top Shelf Books. Book Numbero HUIT next...so what else can we chill you to the bone with? 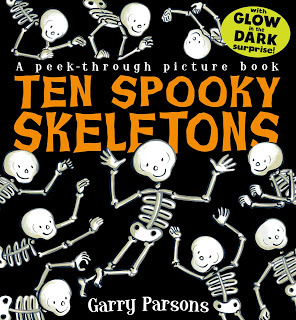 Ten Spooky Skeletons by Garry Parsons is a great little counting book for tiny tiddlers. 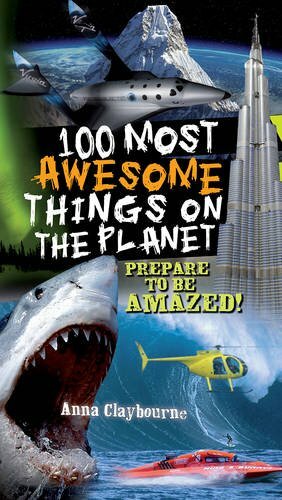 It's full of skeleton antics as children count up to ten along with the craziest gang of bony dudes you've ever seen in your life. 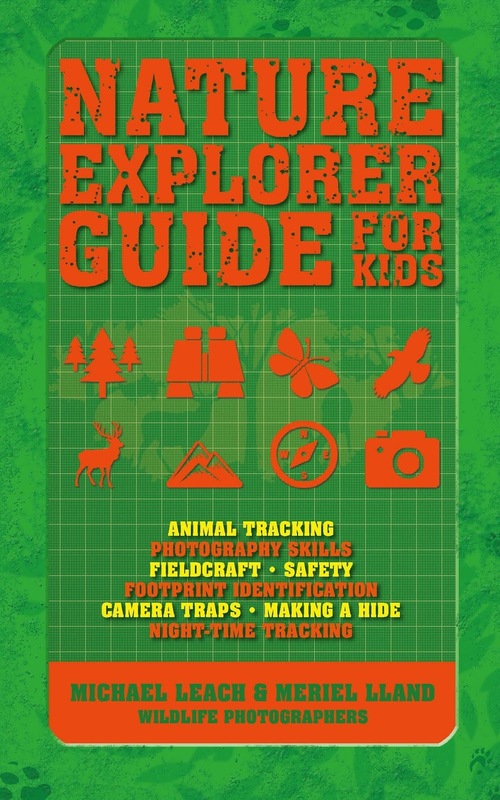 Special mention to the book that glows gently in the dark, perfect for reading by torchlight! You can find our original review of this fun toddler-friendly book here. "Ten Spooky Skeletons" by Garry Parsons is published by Caterpillar Publishing. 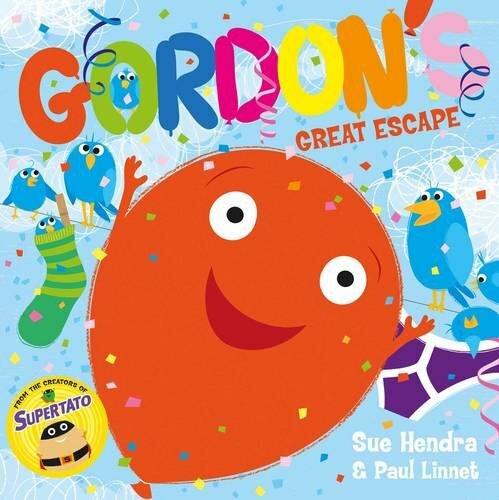 We couldn't possibly miss this fella out, it's one of our favourite picture books of all time. "The Bear Under the Stairs" by Helen Cooper is a spooky tale though not really linked with Halloween. In the book, a young boy imagines that a rather gruff grizzly bear lives in the under-stairs cupboard (must be a bit of a squeeze for Harry Potter when he comes to stay!). Is the bear really in the boy's mind? Helen Cooper playfully works awesome bear-shapes into her illustrations (you'll have as much fun spotting them as you will reading the story). It's utterly brilliant and one of those books we love introducing folk to. 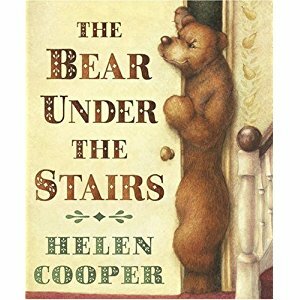 "The Bear under the Stairs" by Helen Cooper is published by Picture Corgi. This one completely took us by surprise when we first reviewed it. 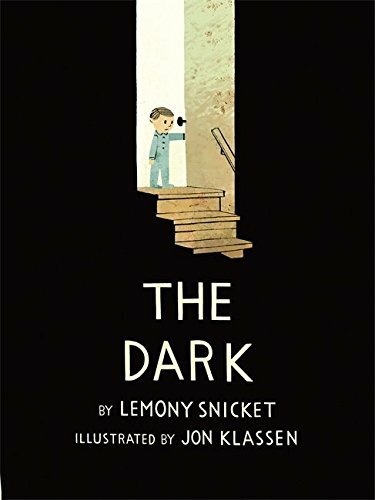 A stunningly illustrated and hugely original dark tale of a mysterious hotel, a pair of perfect villains and a little boy who just wants to be happy. 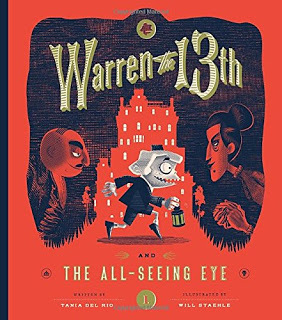 "Warren the 13th and the All Seeing Eye" by Tania Del Rio and Will Staehle is a brilliant spooky read for older kids - perfect for fans of "The Addams Family" and other cool ghoulish stuff. Poor Warren's uncle and aunt - his guardians - are completely hopeless, leaving Warren to run their hotel mostly by himself. Warren soon discovers that the hotel holds deep dark secrets, and his Aunt seems to know more about them than she's letting on. When her sisters also turn up to stay, things go from bad to worse for Warren. Will a new-found ally help him discover the hotel's hidden depths before it's far too late? Quirkily brilliant - well it would be - "Warren the 13th and the All Seeing Eye" is published by Quirk Books. Have a fantastic halloween - and stay safe! This sassy little madam is the star of our first Book of the Week this week, the sublime "That's NOT how you do it!" Once again, half term is here and as working parents both my wife and I are hugely, HUGELY grateful for our parents stepping in to look after Charlotte while she's off school. In fact we'd be utterly lost without them, and we both know this. 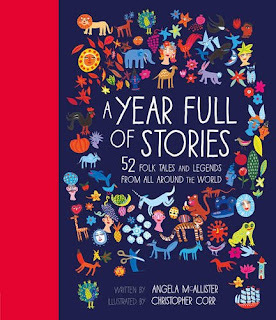 Children's books trumpet just how special grandparents are, loud and proud and we always make a beeline for books that celebrate the groovyness, wisdom and seemingly endless energy that grandparents have. 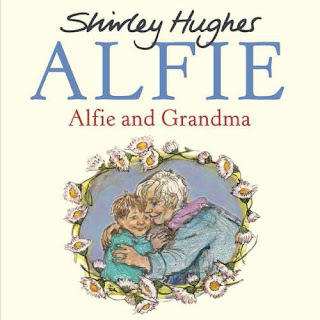 For example Shirley Hughes' sublime "Alfie and Grandma" - Alfie goes to stay with Grandma at her gorgeous cottage. They're wonderful friends and embark on lots of adventures together, rescuing lost pets and stomping through the mud. There's always a grand time to be had. Shirley's book reminds me of staying with my own Nan when I was a short-trousered tousled little fellah a bit like Alfie himself, so books like this are lovely to share with Charlotte - completely idyllic. 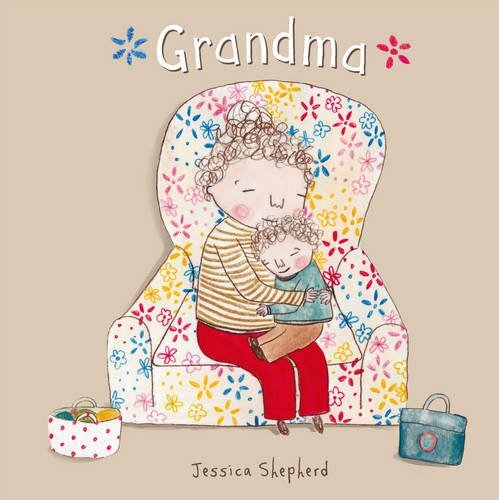 We also love "Grandma" by Jessica Shepherd. This is sometimes a bit of a tough read, we lost our own Nan to dementia a couple of years ago and there's still a huge hole in our lives left by this amazing and inspirational woman. Jessica thoughtfully and sensitively handles the subject with aplomb, and in particular underlines that Grandma is still Grandma, and still well loved. It really is a beautiful and heart-wrenching book and it's not exactly a huge surprise that it was one of our Book of the Week choices (click through the link for the full review). The story of a much-loved Grandad, "Really and Truly" once again handles the subject of dementia in a thoughtful and actually quite a hopeful way. As the story progresses, young Charlie watches his once imaginative and quite mischievous Grandad slide further into decline. But with patience and a lot of love, Charlie once again sees a bright spark of recognition in Grandad as he tells him the sort of tall tale that Grandad once loved to spin himself. Our review (and the book itself) came along at the time we were watching both of Charlotte's great grandmas succumb to this horrible disease but like Charlie, there were golden moments when Great Grandma and Great Nan showed the same spark of life, of recognition and of delight when they were having a good day and could recognise us on visits. 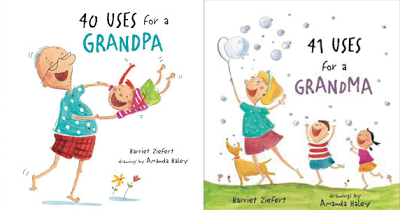 "40 uses for a Grandpa" and "41 Uses for a Grandma" are brilliantly fun, and of course every parent will be all too familiar with what it's like when you pick the kids up from Grandma and Grandad's house and they're sugar-fuelled hyper-energetic bundles of manic energy and joy. 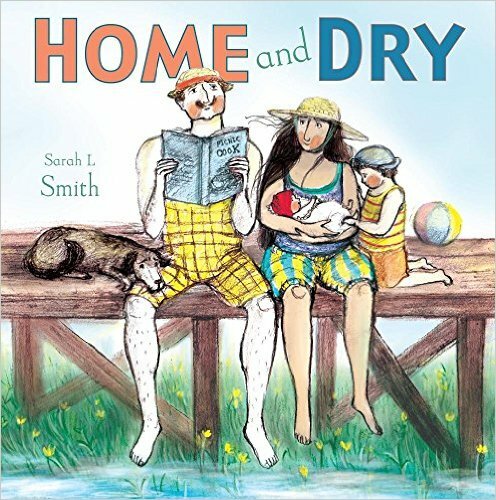 These books are hilarious and amusing and we love the sheer enjoyment of having a good giggle with them as we read through. 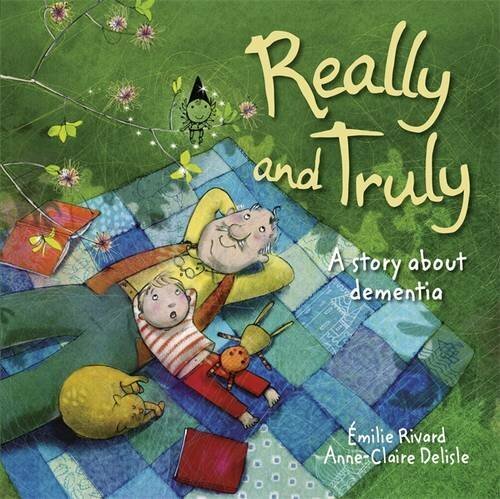 It's no surprise that so many children's books centre around grandparents and these are always the sort of stories that are great to snuggle down with when your little ones are missing their GGs. Above all else, and if they do sneak onto the blog to see what we're up to, we're so lucky, so honoured, and so glad to have Grandma and Grandad, and Nanny & Dodo in Charlotte's life. She loves spending time with you and we know she'll be looking forward to the next holidays to roll around double-quick! Thank you so much for all you do! Welcome to our October roundup of amazing chapter books to keep you busy and entertained as the long nights draw in, and we prepare to don all sorts of daft costumes for Halloween. We're kicking off this month's roundup with some books we couldn't quite manage to squeeze into our teetering tottering reading pile last month so let's catch up with our first title, "Chloe's Secret Princess Club" by Emma Barnes and Monique Dong. 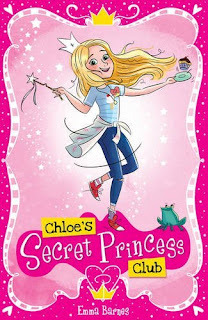 Meet Chloe, founder and member of the Secret Princess Club along with her friends. Well-meaning but sometimes a bit klutzy, Chloe never means to get into trouble but sometimes in The Secret Princess Club, trouble has a habit of following Chloe and her friends around as they vow to make their dreams come true. A wonderful girly gushing and excitable read, this had our own particular princess in pink wrapped up in sheer bliss for ages so join "The Secret Princess Club, published by Scholastic and out now! Next is a new book from a series that has been hugely well received, mostly down to some extremely tight writing and some truly inspirational and brilliant characters. 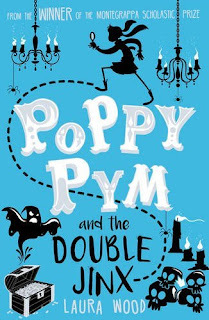 "Poppy Pym and the Double Jinx" follows on from the excellent "Poppy Pym and the Pharaoh's Curse" and ushers in a new adventure for the brave girl detective whose curious schnozz often gets her into a pickle or two. This time it's nearly Halloween at Saint Smithen's. When the Brimwell town hall mysteriously burns to the ground, the amateur production of Macbeth is moved to the school and it's all hands on deck. But when the play is equally mysteriously struck by a series of menacing attacks, it's up to Poppy, her friends and her circus family to save the play and unmask the culprit. Beautifully paces and brilliantly engaging, Laura Wood's "Poppy Pym" joins the hallowed ranks of awesome girl characters who use their brains rather than their beauty to solve a tricky case. "Poppy Pym and the Double Jinx" by Laura Wood is out now from Scholastic Publishing. Polly Faber and Clara Vulliamy are back with the third book in their awesome "Mango and Bambang" series. In "Tiny Tapir Trouble" this collection of adorable stories kicks off with an unexpected and very mischievous new visitor who comes to stay with Mango Allsorts and her friend Bambang. This snorty and fidgety newcomer soon causes havoc for all and sundry. Will the tiny tapir terror ever learn to behave? We loved Mango and Bambang the Not-a-Pig and Mango and Bambang All At Sea and we also love this third little book, once again establishing a really nice little readable format for children's books and for kid readers who are transitioning between picture books and "propah grown-up chapter books". 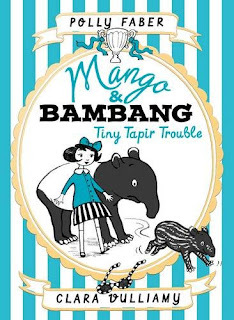 "Mango and Bambang - Tiny Tapir Trouble" is out now from Walker Books. Ransom Riggs' truly brilliant "Miss Peregrine's Home for Peculiar Children" really struck a chord with me when I first read it a couple of years ago (and you can see my reviews of the three books in the series over at the super-secret-after-the-watershed book blog "Daddy After Dark"
Telling the story of Jacob, who has grown up listening to the tall tales of his Grandfather, it's a story steeped in darkness and horror. Jacob soon learns that his Grandfather's stories might actually have been true, and makes a pilgrimage to a mysterious island along with his dad, to try and make sense of a crop of strange letters he finds amongst his grandad's correspondence. 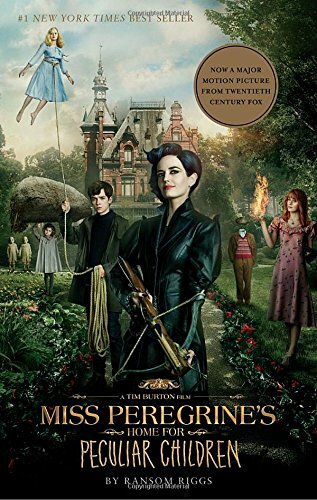 Jacob finds himself in a bizarre alternate reality where time seems to have ground to a halt as The Second World War still rages overhead, and soon discovers a mysterious orphanage, overseen by the mysterious Miss Peregrine and home to some seriously strange kids with crazy abilities. 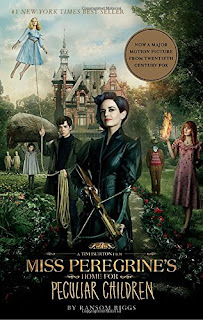 "Miss Peregrine's Home for Peculiar Children" (Movie tie-in version) by Ransom Riggs is out now from awesome publisher Quirk Books. From the peculiar to the downright cute and vampish. Meet Isadora! Isadora Moon is part vampire, part fairy and all mighty girl - the star of her own book series by Harriet Muncaster. 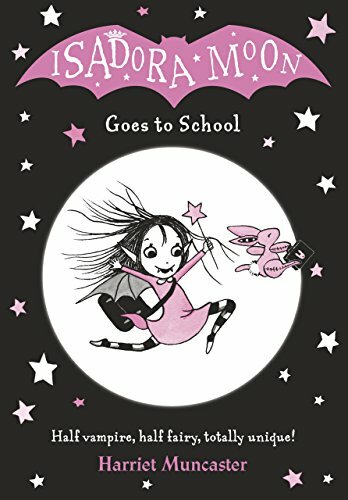 In "Isadora Moon Goes to School" our pointy-toothed heroine starts school - but with a dad who's a vampire and a mum who's a fairy, which school does Isadora go to? Fairy school might be a tad too frilly, and Vampire School's curriculum might not suit a pink-loving vampire girl. Read all about Isadora's hilarious exploits, in a brilliantly illustrated book series filled with fun and a sharp-toothed sense of humour. "Isadora Moon Goes to School" is out now, published by Oxford Children's Books. Next in our book bag, an author who is an unstoppable writing machine, scoring hit after hit with a glorious selection of amazing animal-based books. In Holly Webb's "The Pocket Dog" you'll find a beautiful story about friendship with a serious moral message underpinning this entertaining tale. Kitty is jealous of the new girl in class. Erin has a phone and seems much cooler than Kitty. Confused, Kitty starts to take it out on her friend, Bella, and once she starts being mean, she finds she can't stop. It takes the love of her little daschund puppy, Frank, to show her that bullying isn't the answer and to bring the two friends together in a new-found and stronger friendship. Holly's wonderful stories are thought-provoking and a brilliant read for little ones who are standing firm on their own two feet when it comes to reading on their own. 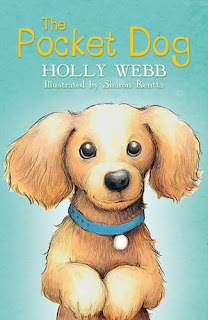 "The Pocket Dog" by Holly Webb, with illustrations by Sharon Rentta, is out now from Scholastic Publishing. 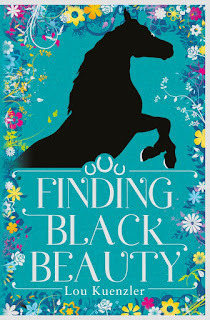 Lou Kuenzler's "Finding Black Beauty" is a sweeping and immersive new novel introducing the most famous black horse in literary history to a whole new audience. Anna Sewell's well-loved classic (which was a massive fave when I was a kid, due in no small part to a fab and exciting TV adaptation that was running at the time) is sensitively treated in this sequel. A young groom named Jo falls in love with the titular horse, but Jo has a secret. Though she masquerades as a boy, she's actually a girl - very much frowned upon at the time for grooms to be girls (I've no idea why). As the story unfolds, Beauty and Jo are separated, but this determined lass decides to track down Beauty all the way to London, and also find out more about her mother and her own identity in the process. Brilliantly written, instantly feeling like Lou has expertly picked up the threads of Sewell's writing style with aplomb, both "Black Beauty" and "Finding Beauty" are published in fantastic covers by Scholastic Press. 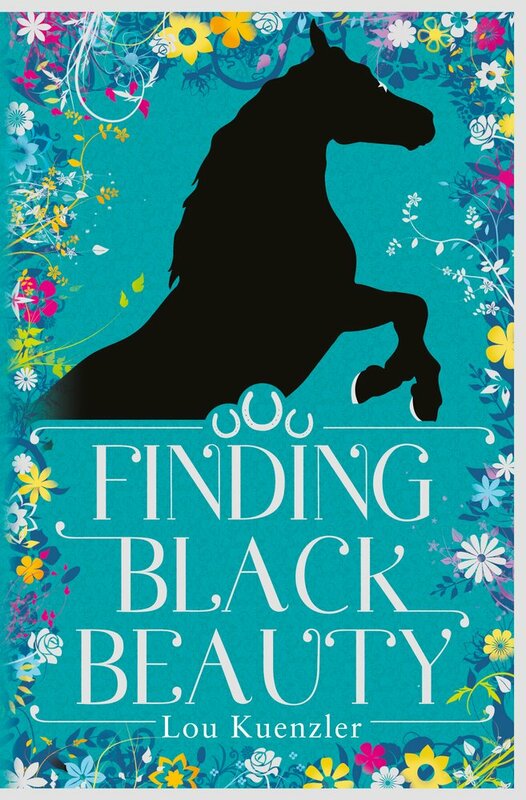 "Finding Black Beauty" by Lou Kuenzler is out now. Lou really is on fire at the moment, and if you're ready with your Halloween preparations (as well you should be) you'll definitely love "Bella Broomstick (book 3): Halloween Havoc". Bella Broomstick is a hapless, hopeless witch. So hopeless that nasty Aunt Hemlock banished her to Person World to go and live amongst us weird humans - with the warning that she must never do magic again. Bella being bella finds that particular order very hard to stick to and with Halloween coming up, Bella can't wait to carve a pumpkin and go trick-or-treating with her friends. Halloween is also a time when real witches can enter the Person World. Merrymeet Village better look out ... The coven is coming! Watch out for lots of comic spells and broomstick thrills as Bella saves the day! 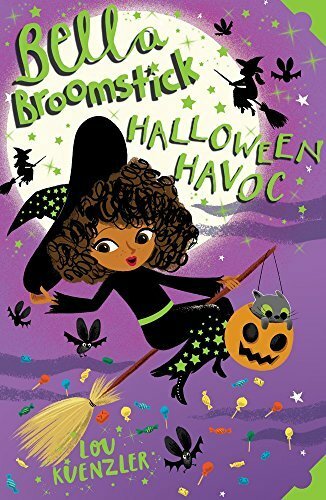 "Bella Broomstick: Halloween Havoc" by Lou Kuenzler is out now, from Scholastic Publishing and it's a spooky riot of a book! Now for something completely different. Seriously cool sci-fi from a master of suspense and excitement...! "Gravity" by Andy Briggs is the sequel to the stunning "Iron Fist" (The Inventory series), once again adding to the awesome sci-fi world-building of the original book with even more amazing gadgets and perilous situations. As we found out in the first book, hidden under a small suburban town is "The Inventory" - a collection of the most incredible technology the world is definitely NOT ready for. We pick up the cataclysmic conclusion of the first book as much of the Inventory's technology has fallen into the wrong hands - including Newton's Arrow, a powerful weapon that can manipulate gravity to devastating effect. Only Dev and his friends have the tools and the talent to retrieve the stolen tech, following the weapon's deadly trail around the world. Along the way they learn the terrible truth about Newton's Arrow's capabilities ... as well as disturbing details about Dev's origins. I've always championed cool sci-fi for kids and it doesn't get any cooler than this series. Andy Briggs switches gears like a master, taking us out of the steamy jungles of his brilliant "Tarzan" adventures and right into the far flung future where technology rules all. We both thoroughly enjoyed this one, and can't wait to see what happens next so c'mon Andy, get writing!! 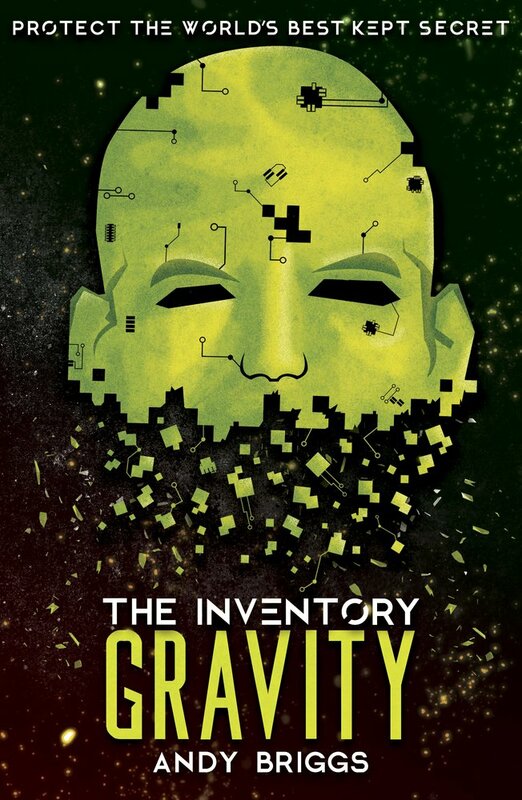 "Gravity (The Inventory Book 2)" is out now, published by Scholastic. 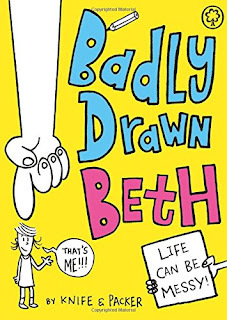 "Badly Drawn Beth" by Knife and Packer (otherwise known as Jem Packer and Duncan McCoshan) introduces Beth, a little girl who just can't seem to help getting into sticky situations. Picture the scene if you can. You're surrounded by crocodiles, holding a briefcase full of fish fingers, wearing a swamp monster mask AND MISS PRIMULA IS ABOUT TO CALL YOUR PARENTS! Pretty much an ordinary average day for poor Beth, and her crazy collection of friends and family. This new diary series will appeal to kids who can't get enough of Dork Diaries and Fleabag Monkeyface. If you like your jokes and giggles fired at you quick-smart like a machine-gun filled with jellybeans then this is the book for you! 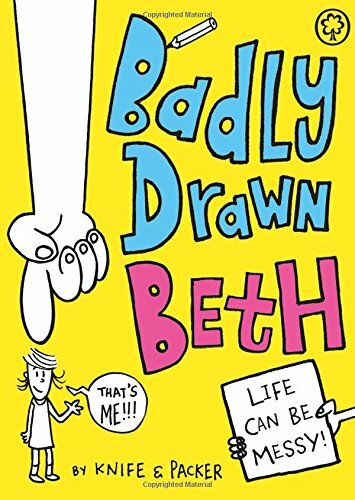 "Badly Drawn Beth" by Knife and Packer is out now, published by Orchard Books. 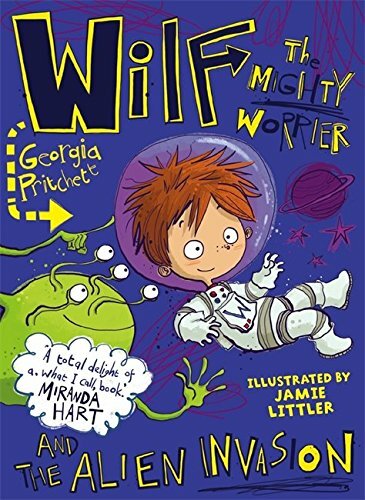 "Wilf the Mighty Worrier and the Alien Invasion" by Georgina Pritchett with illustrations by Jamie Littler is the 4th book in the "Wilf the Mighty Worrier" series, and as you can probably imagine, this time Wilf is once again about to fall victim to the nefarious plans of Alan, the most evil man in the whole world, who just happens to be Wilf's neighbour. Alan has decided he wants to be the most evil man in the whole UNIVERSE, with the help of his new rocket ship. When Wilf discovers some angry aliens from Mars in his back garden, he can tell that Alan's trip to outer space has not gone well. Can Wilf get over his fears long enough to help the aliens fight back? Join Wilf as he travels into space for his most out-of-this-world adventure yet! This book will have you laughing until snot dribbles out of your nose, like a squishy green alien invasion all of its own! Eeesh! 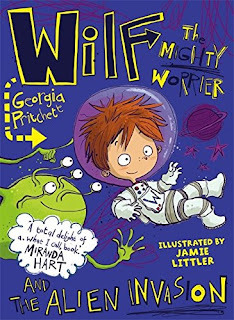 "Wilf the Mighty Worrier and the Alien Invasion" is out now, published by Orchard Books. One more from Orchard, a bit more of a serious tone with this one. Stern frowny faces at the ready? "The Map to Everywhere - City of Thirst" is the stunning sequel to "The Map to Everywhere" Book 1 by Carrie Ryan and John Parke Davis. This sprawling and scintillating adventure series takes things up a notch as heroes Marrill and Fin join forces for another epic instalment. When the magical waters of the Pirate Stream begin flooding Marrill's world, the only way to stop the destruction is to return to the Stream and find the source of the mysterious Iron Tide. Reunited with her best friend Fin--who has been forgotten all over again--Marrill, her disbelieving babysitter, and the Enterprising Kraken crew must make the treacherous trek to the towering, sliding, impossible world of Monerva and uncover the secrets of its long-lost wish machine. Only there can Fin wish to finally be remembered. Only there can Marrill wish to save her world and all the people she loves. But to get everything they've ever wanted, Marrill and Fin may have to give up on the most important thing they already have: each other. 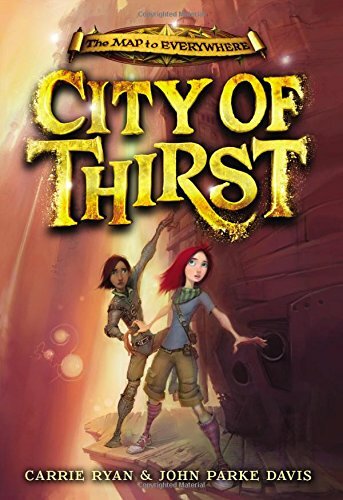 "City of Thirst" explodes at a cracking pace, perfect adventuresome stuff. "The Map to Everywhere: City of Thirst" by Carrie Ryan and John Parke Davis is out now, published by Orchard Books. More Halloween fun, well it is almost time! 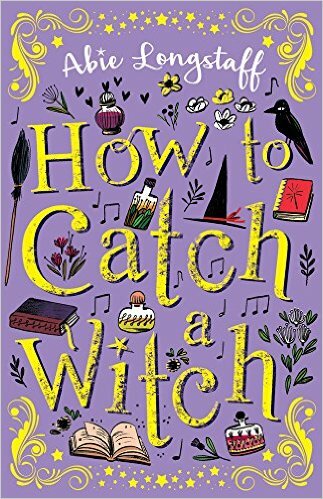 Abie Longstaff's "How to Catch a Witch" is perfectly timed to arrive on your doorstep ready for All Hallows Eve. 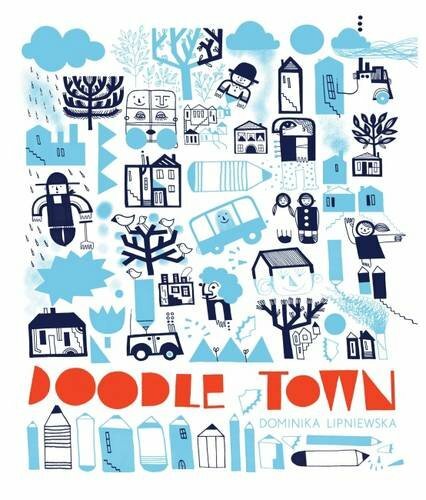 It's the story of Charlie and her family, who have moved from the big city to a small country village. To Charlie, everything feels wrong. The cottage they now live in is old and creepy but worst of all, anxiety about her new school is causing Charlie's stutter to return. And the villagers are just plain weird: Beautiful young singer Suzy Evans, who glows with a strange light that only Charlie can see. Mysterious classmate Cat, who won't keep her nose out of Charlie's business. And Agatha, who may not have a broomstick or a cauldron, but is definitely a witch! Slowly and steadily, though, the strange surroundings exert their effect on Charlie...Would a bit of Agatha's magic fix her worsening stutter? 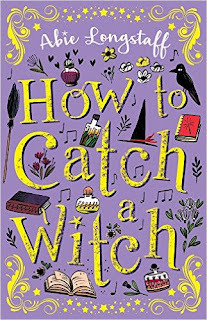 A witchy treat full of twists and turns, "How to Catch a Witch" by Abie Longstaff is out now, published by Scholastic. Phil Earle and Sara Ogilvie are back with the next book in the "Storey Street" tales. In "The War Next Door" nasty bully Masher is pretty much top dog and loves it that way. He rules with fists of iron - until a new family move in, with a girl who isn't afraid of Masher at all! Jemima thinks Masher's a bit of a wimp actually, and that can only mean one thing - All out war! A brilliantly observed story from Phil, following on from awesome "Superhero Street". It's a fight to the death, or at least until teatime! Don't hang around, go pick up a copy now! 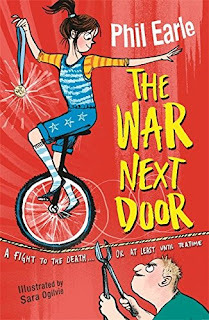 "The War Next Door" by Phil Earle with illustrations and cover from Sara Ogilvie is out now, published by Scholastic. "Shadow Magic" by Joshua Khan is a deep, dark and delicious novel full of mystery and suspense. In a world ruled by six ancient Houses of Magic, a girl and a boy begin an epic and dangerous journey of discovery ...After her parents' murder, 13-year-old Lilith "Lily" Shadow rules Gehenna from Castle Gloom, an immense and windowless citadel. Once Lily's ancestors commanded spirits, communed with the dead, and raised armies from out of the grave. But now her country is about to be conquered by the Shadows' ancient enemies - the Solars, the lords of light. Thorn is a peasant boy, wily and smart, sold into slavery and desperate to escape. So when he's bought by Tyburn, executioner to House Shadow, he'll agree to just about anything - even to serving Castle Gloom for a year and day in order to earn his freedom. When Lily is nearly poisoned by a ruthless and unknown assassin, she and Thorn embark on a dangerous quest to save Gehenna, a weird and wonderful land of haunted castles, mysterious forests and an unforgettable giant bat. Together they must unravel a twisted plot of betrayals, pride and deadly ambition. 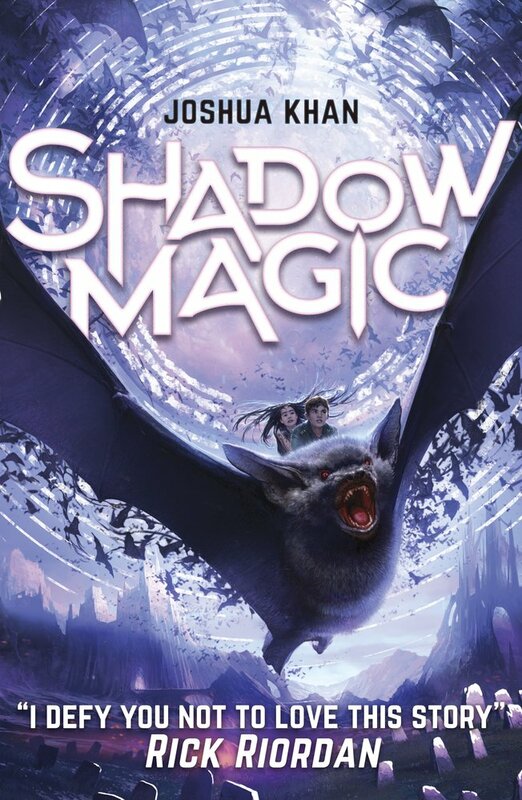 Gloriously written and with tons of appeal to kids who love books like Harry Potter or the Percy Jackson series, "Shadow Magic" is an epic tale. 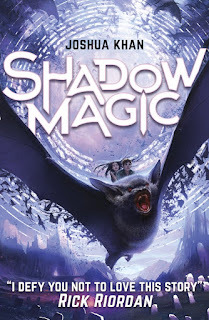 "Shadow Magic" by Joshua Khan is out now, published by Scholastic. "Mystery at the Ice Hotel" by Sara Grant follows on from the original "Chasing Danger" book that introduced us to 14 year old Mackenzie. Never far from trouble, she was drawn into a chaotic and crazy plot while visiting Grandmother's place for the vacation. Now the action moves swiftly to icier climes as once again Mackenzie and Chase visit a fantastic ice hotel in Iceland. The hotel has a sinister secret however, and when several bizarre accidents start to affect the guests, and a frozen body turns up, Chase and Mackenzie are once again on the case - ready to solve the mystery before their own lives are threatened by the unseen protagonist. This book barely stops to take a breath. 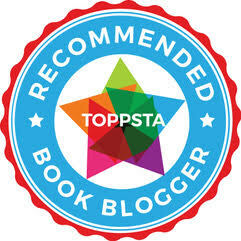 It's fast paced action packed stuff, great for mighty girls and boisterous boys too. 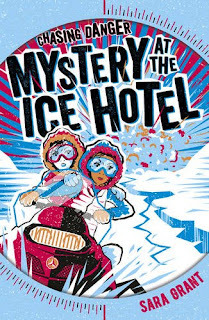 "Mystery at the Ice Hotel" by Sara Grant is out now, published by Scholastic. 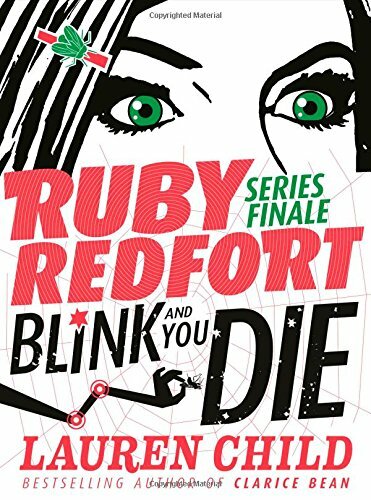 Lauren Child's astonishing Ruby Redfort series hits its finale with the suspense-fuelled high octane excitement of "Ruby Redfort: Blink and you Die!" 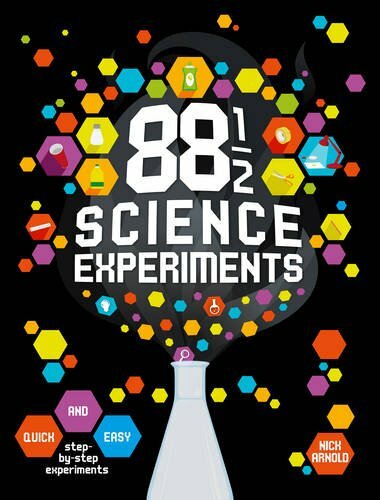 Normally we're used to Lauren's titles for younger children but she's clearly an accomplished middle grade author and it's time to say a final farewell to 13 year old superspy and computer genius Ruby. Ruby Redfort is running scared, a whole bunch of people want her dead and worst of all one of them is on her own team. The mysterious entity known as "The Agent of Doom" won't rest until Ruby is put out of the game - for good! "Blink and you Die" tails off a fabulous set of books so if you're new to Ruby Redfort, it's high time you caught up! "Ruby Redfort: Blink and you Die" by Lauren Child is out now, published by HarperCollins Children's Books. Whoah! So many lovely books this month. Tune in when November rustles in, bringing a chill and of course the exciting anticipation of all things Yule-flavoured! See you in a month, you lovely lovely people! Are you ready for some cool makes? 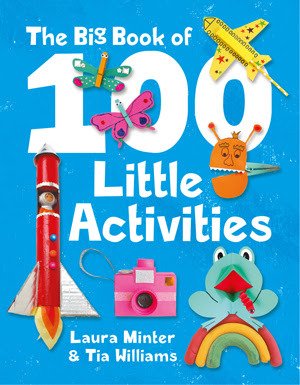 Those lovely ladies from The Little Button Diaries are back with a bumper book of superb art, science and crafty activities so go for your gluesticks! Now here's a really fantastic idea for parents and children who want to have a calmer more restful life. 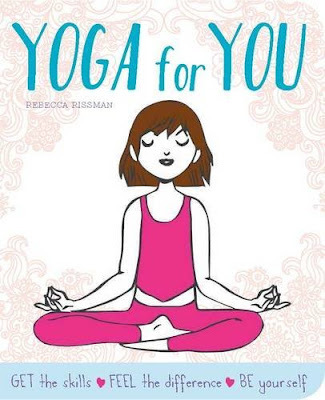 Spend a few minutes a day in yogic bliss! Sue and Paul are back and yet again they've come up trumps with a totally brilliant and original new story featuring yet another slightly bonkers character. This time, of all things, it's a happy balloon! We won an award! Nominated and winner of "Champion Adult Blogger" in the 2016 UK YABA Blogger Awards. We're very humbled and hugely grateful for the win. We both put a lot of work into making ReadItDaddy an entertaining and enjoyable read and it's lovely to see some feedback and recognition like this. Congratulations to the other winners, and once again a huge thanks to all concerned from both of us. Here's to 2017 being an even more amazing and bumper year for books than 2016 has been. Knit yourself in knots and bake yourself some tasty pie! 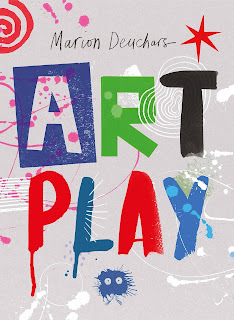 New books incoming from Maverick Publishing! We're adoring Maverick's picture book range and they've got a couple of corkers that we've been lucky enough to have been sent for a sneaky peek at. Amanda Brandon and Catalina Echeverri are back for more woolly antics following on from "A Scarf and a Half" and "A Box of Socks". Granny's favourite ball of wool has gone missing, so it's up to Lionel and his friend Rocky to track down the missing ball before Granny runs out! 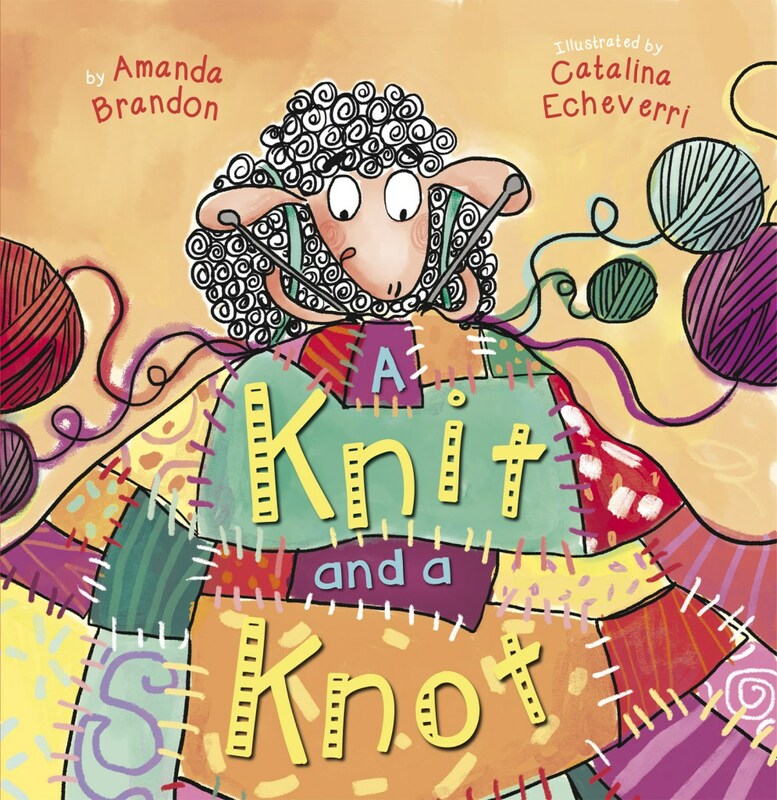 As with the previous books, Amanda and Catalina have knitted up a gorgeous ticklish little story for your little ones. Granny Mutton is ace! "A Knit and a Knot" is out now, published by Maverick Publishing. 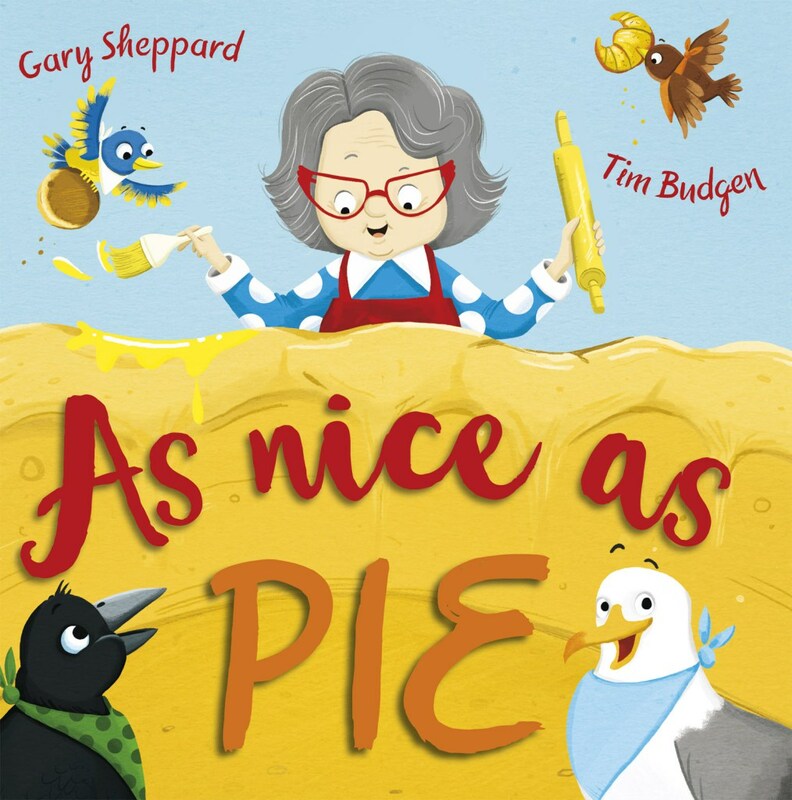 And if you're not in the mood for knitting, but are all of a frenzy about "The Great British Bake Off" you'll definitely love "As Nice as Pie" by Gary Sheppard and Tim Budgen. 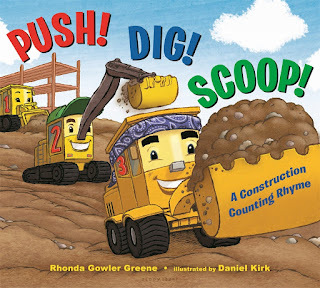 Gary and Tim have the scrumptious recipe for picture book perfection. Meet Mavis, baker extraordinaire and bird lover. She loves to make the tastiest treats but one day when she feeds a bird a few crumbs, little does she suspect that the naughty birds will take advantage of her generosity. Mavis must bake up a frenzy just to keep up! 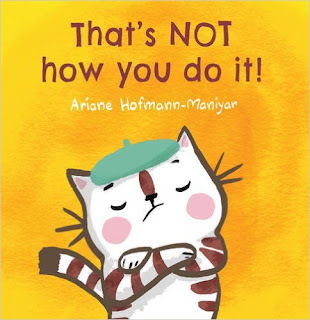 A hilarious and fun tale that's perfect for pastry addicts. "As Nice as Pie" is out in November, published by Maverick Publishing. How could we resist a book that actually has "Awesome" in the title. We can't and this really is awesome too...! 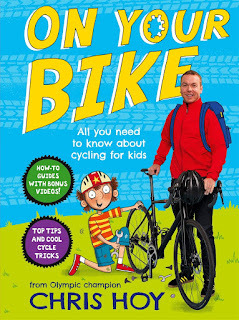 A fabulous book for bike-mad kids, from none other than Sir Chris Hoy himself. 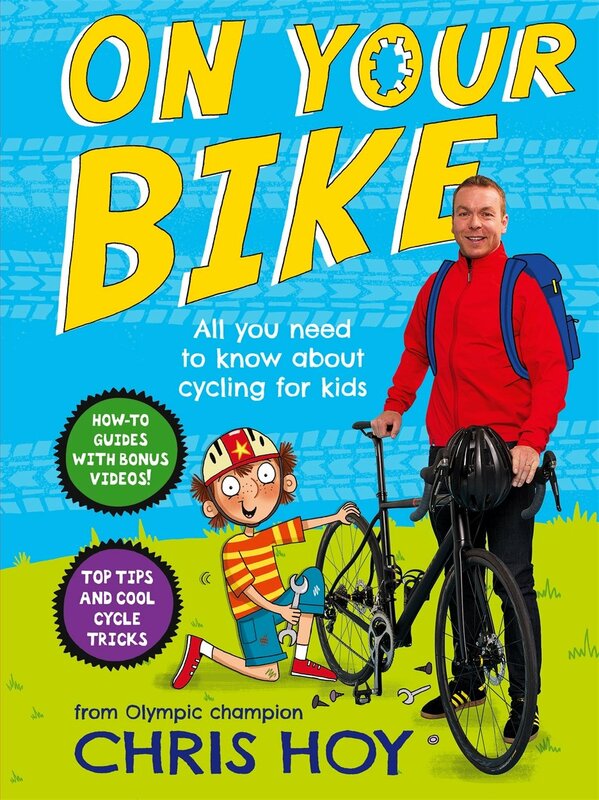 Time to get "On Your Bike!"